I'll be taking over Jordana's blog for the day as part of the Canadian Beauty Bloggers monthly guest posting. This month, the theme is transitioning to warm weather - so I'll be sharing with you three fun (and colourful!) 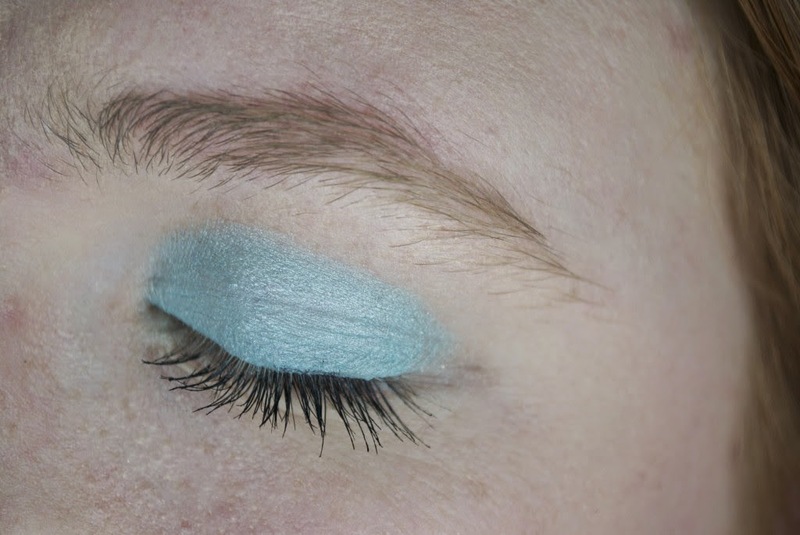 eye makeup ideas for summer. I'm someone who tends to go for neutral shades, so these were quite outside my comfort zone. However, I couldn't help but love every look! So, let's start with the almay shadow softies, shall we? These poor shadow softies have been given such a hard time - but I really love them. They're great for a sheer wash of colour, and their lightness is perfect for hot summer days. I used two shades to achieve this look: Cashmere and Honeydew. 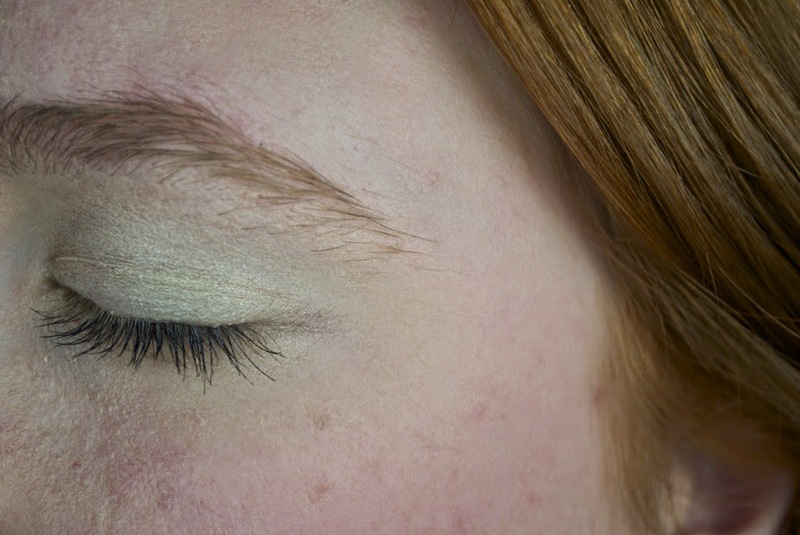 I applied Cashmere (a matte pale yellow) all over my lid, followed by Honeydew (a shimmery pistachio) in the crease. It's light, and I love it. Next up, let's talk about the Lise Watier Solo Eyeshadow in Bleu Curaçao. Isn't that blue incredible? You wouldn't believe how creamy it is too - even though it is a powder eyeshadow. The colour is just incredible. With a color this intense, you don't really need to worry about adding more than one shade. I applied the solo eyeshadow all over my lid and ta-da! I'm done. 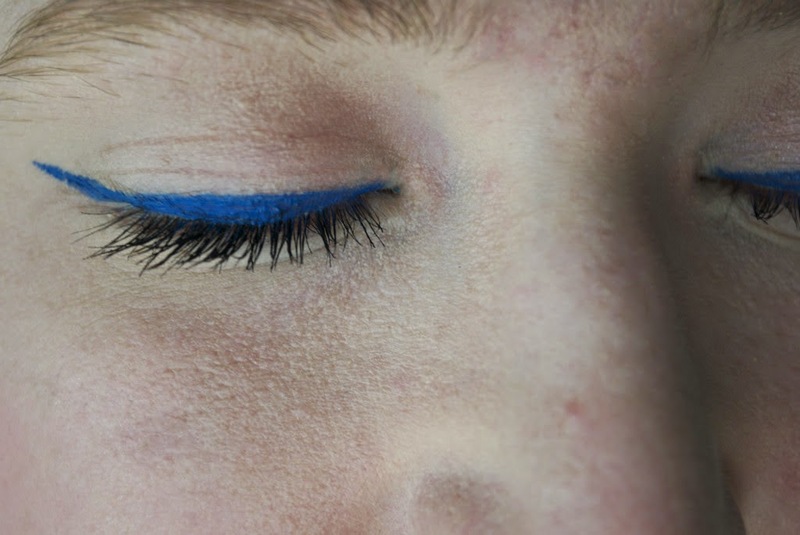 Finally, we have the Stila Stay All Day Waterproof Liquid Eyeliner in Cobalt. I'll be honest, I'm not entirely sure why I bought this. I don't tend to go for crazy colours, as I said. Nonetheless, I was impressed with this eyeliner. I mean, look at that colour! Pretty gorgeous, right? It was only my second time using this, and it felt like the tip was already drying out, which is a little disconcerting. I also managed to get some in my eyes which was quite painful. 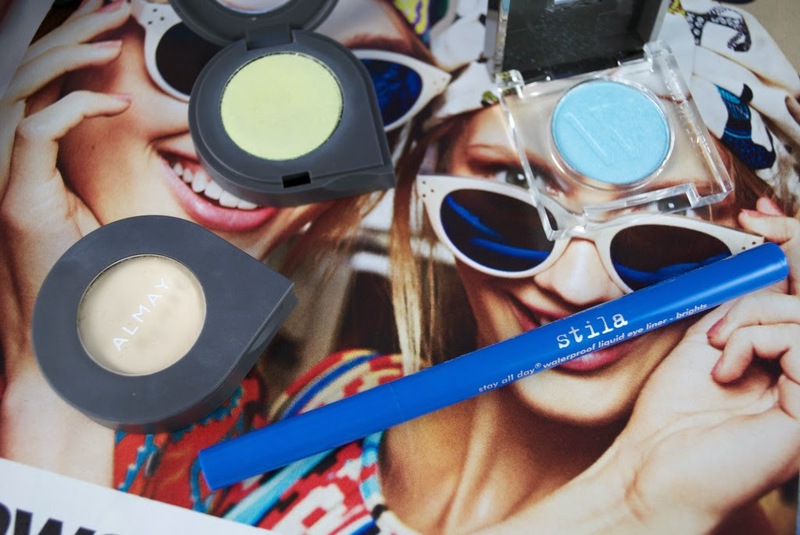 So, there we have it - my bright eye makeup looks for summer. Have you started transitioning your makeup for summer?